India's leading e-commerce giant, Amazon.in today announced the setting up of 16 'GST Cafes' across 11 cities to help sellers understand the nuances of GST and transition seamlessly through the entire process. In line with Amazon.in's continuous efforts to enable its sellers be GST-compliant, these cafes, available from June 26th, 2017 will be available for a duration of two weeks to train and empower sellers on the implications of the new GST tax. These support centers are set up at various Amazon Service Provider and Amazon partner sites across the country will help sellers address their queries on GST compliance and stay relevant for the upcoming GST regime. Amazon.in has left no stone unturned to help its sellers understand procedural formalities and address their GST queries. Under this program, sellers will be able to walk into the cafe and get training and guidance from trained resources and experts for navigating their accounts and getting their queries resolved. 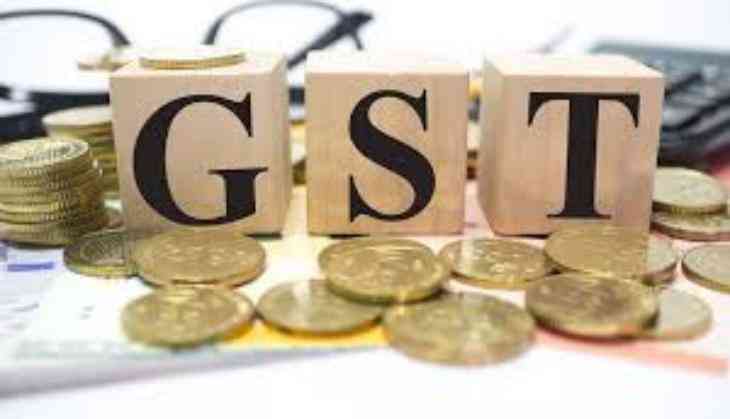 The 'GST Cafes' in Mumbai, New Delhi and Bangalore will specifically have an experienced Charted Accountant to assist sellers in updating their GSTIN on Seller Central and get GST related concerns resolved on the spot. The cafes in other cities will be operated by qualified Amazon.in Service Provider or Account Managers who will help sellers with "how-to" queries around updating GST details in Seller Central, procedural formalities and other simpler queries. All unresolved queries at these cafes will be redirected to Amazon Tax team and will be addressed remotely through email mechanism to ensure sellers get satisfactory resolution. Amazon.in has been working actively with its sellers and other stakeholders to roll out several initiatives across its various communication and training channels. By setting up GST Cafes, the e-commerce player aims to support sellers to ensure smooth compliance of all legal formalities that pertain to the upcoming GST implementation and help them integrate effortlessly. "With just a few days to go for the GST roll-out, an in-person assistance is of utmost importance to help sellers with last-minute issues and details. We thus came up with the idea of GST cafes across cities to educate sellers about the new tax and its implications. Through these cafes we aim to handhold and assist our sellers and prepare them better for the transition. We look forward to supporting our sellers in every way possible through comprehensive training, technology solutions and collaboration with subject experts. All necessary Amazon systems and process changes are being implemented rapidly to ensure that sellers are GST compliant at launch," said director and GM Seller Services, Amazon India, Gopal Pillai. Amazon.in has been creating awareness about its GST Cafes amongst its seller community through regular SMS alerts and e-mail communication. The GST cafe details are also available on the Amazon services website to help sellers locate the cafe near them. Amazon.in has also been actively leveraging its Facebook Seller Group to create awareness and drive traffic at these cafes and help sellers get GST ready. Earlier this year, Amazon launched the 'A-Z GST Guide' programme that has trained & enabled thousands of sellers on the marketplace till date to get ready for GST. The online portal provides resources in the form of tutorials, blogs and free online training sessions. In addition, it also provides sellers on the marketplace with access to paid professional support and expert advice from third-party service providers. Through engagement activities like surveys, the initiative receives real-time feedback from sellers which helps Amazon.in customize support services related to GST. How has 'Mubarakan' strengthened Anil Kapoor, Arjun Kapoor's bond? READ NEXT >> How has 'Mubarakan' strengthened Anil Kapoor, Arjun Kapoor's bond?